The theme for this 26 Great Nail Art Ideas was Workplace Appropriate. 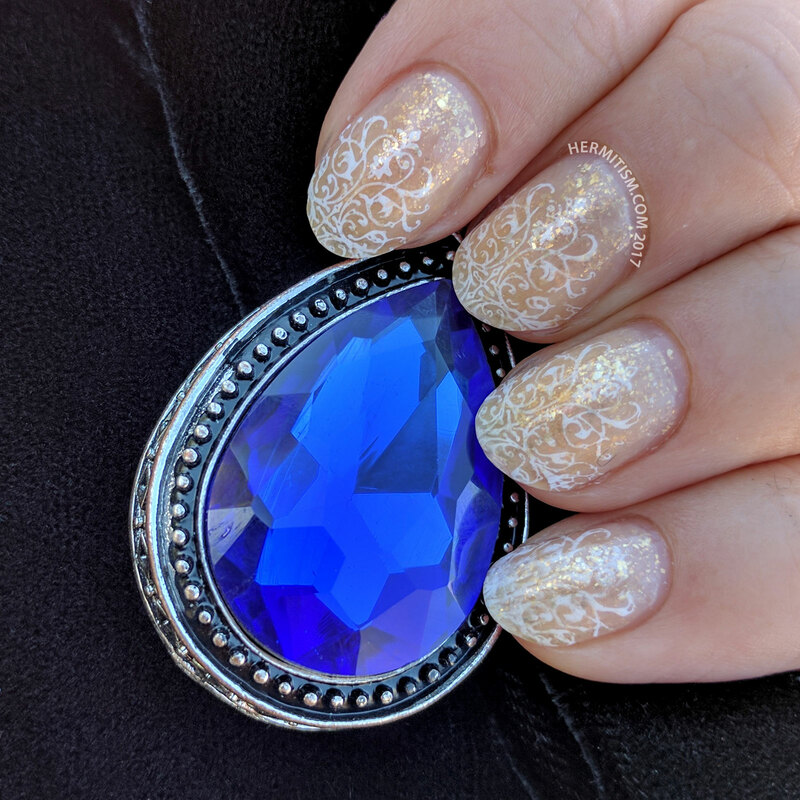 I’ve generally worked places that were casual enough that some people were in jeans and t-shirts every day, but I had an idea for a simple-ish nail art that took advantage of sheer polish so I thought that would work. In retrospect this falls into more wedding appropriate nails, but I don’t think you’d get in trouble for wearing this to most work places. I’d like to try this again sometime with a less subtle sheer polish. The trick to this is to stamp on top of your base polish and then paint layers of the sheer polish on top. Kind of a glitter pond manicure with no expectation of opacity. Major Dijit is not a brand that I’ve really seen nail artists talk about. It started off with a bunch of lace patterns so I can see why it’s blending into the background. But if you love Halloween and goth/punk imagery, it has some pretty amazing designs. I recently had a great customer experience at the Major Dijit store on Aliexpress if you’re looking for a new brand to explore. I’ve used the brand before in other nail art (mostly Christmas-related). This is so pretty! 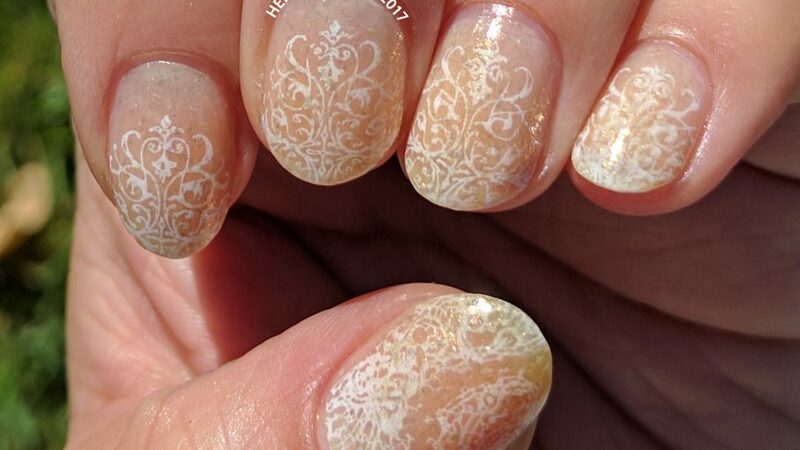 I love the delicate white stamping and the glittery gold under it. Subtle and beautiful!